Armando Pérez Abad was a truly big help in making this budget series what it is. Not only did he introduce me to several people in the MSX homebrew community, he also volunteered to program a few games from scratch just for the budget series, because he really wanted to help Óscar as much as he could. These games coded from scratch had to be simple enough to be coded rapidly, and I had to create the graphics myself for all of them, so I jumped on the opportunity and suggested several interesting titles. 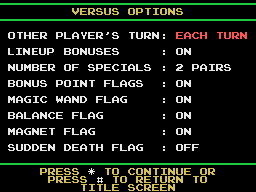 Armando accepted programming three of those suggestions, namely Kaboom!, Remember The Flag and Yars' Revenge. However, recent changes in Armando's life forced him to drop Remember The Flag, and Óscar Toledo Gutiérrez was kind enough to pick up the project and see it through to the end. 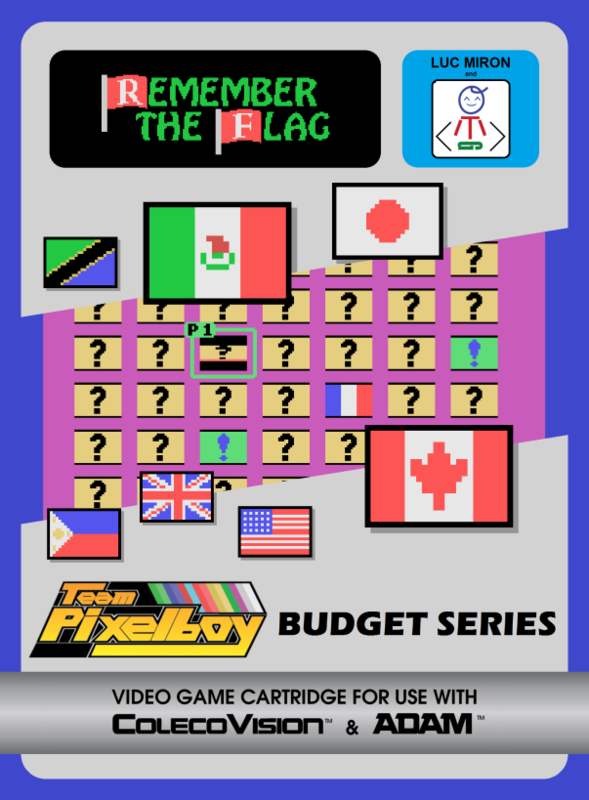 Remember The Flag is the only truly "new" game in the Team Pixelboy budget series, in the sense that it's not a port from an MSX game or a game released on another console that was recoded from scratch for the ColecoVision. It is strongly inspired from the boardgame "Match II", but as the designer of the game, I added some elements which are designed to take advantage of the video game format. SPECIAL THANKS: Anders Carlsson, Tobie St-Aubin and Albert Yarusso. 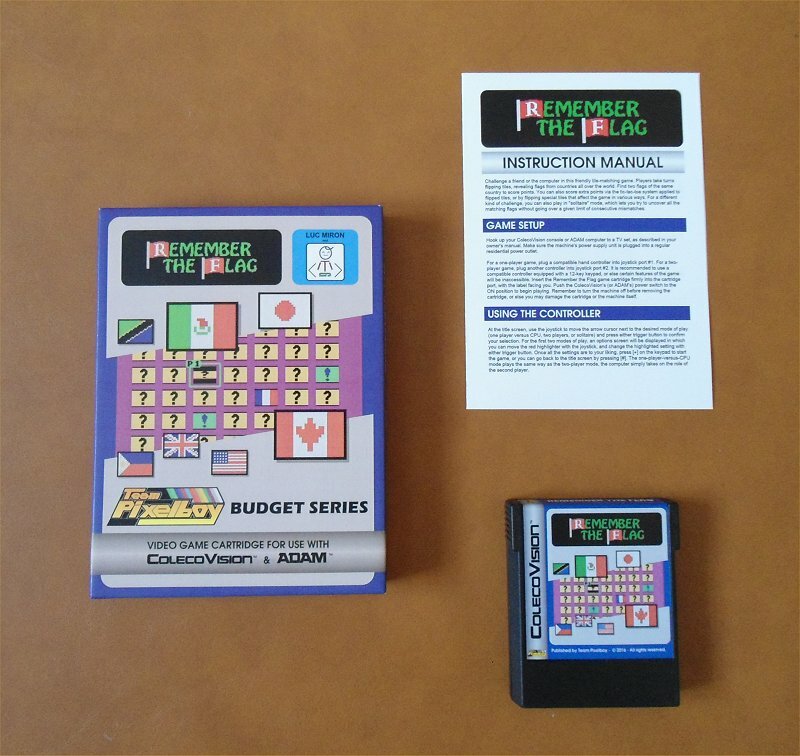 Here is a YouTube video of Remember The Flag for ColecoVision.